If you forgot your Windows 7 password, you can bypass Windows 7 password using Command Prompt in safe mode. Now follow the step-by-step guide below to get back in your Windows 7 again. Now follow the step-by-step guide below to get back in your Windows 7 again.... 15/04/2013 · how to reset windows 7 password, if i forget it, using cmd This thread is locked. You can follow the question or vote as helpful, but you cannot reply to this thread. 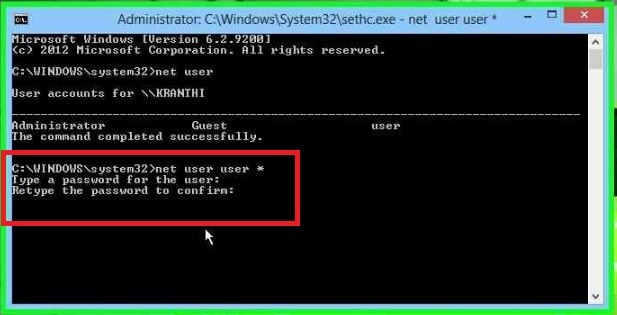 How to Break Windows Administrator Password from DOS Command Prompt? A windows administrator account is a user account that gives full access to the machine. It is by far the No. 1 target for someone trying to gain illegal access to your network and resource. grim dawn how to change camera angle When your computer is running into issues, you can use the Reset this PC feature to fix all problems by reinstalling Windows. If only command prompt is available or you just tend to use it, you can reset Windows 10 from command prompt. 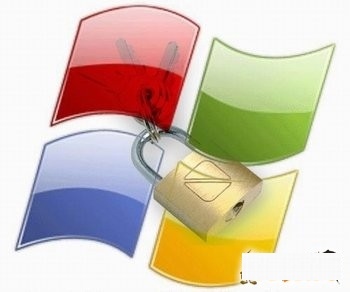 15/04/2013 · how to reset windows 7 password, if i forget it, using cmd This thread is locked. You can follow the question or vote as helpful, but you cannot reply to this thread. The question is can you CHANGE the password using Command Prompt. That is to say that entering the old password in Command Prompt. The reason I need to change vs reset is because Reset the password breaks the windows CryptoKey and certain apps don't work correctly anymore. As a result I have gathered some ways to hack Windows 7 Password with ease, and all of which could be done by ourselves. Option I. Crack Windows 7 Password with "lusrmgr.msc" Command If you have another user account which has admin privileges, you can easily crack Windows 7 login password by running "lusrmgr.msc". Solution 1: How to Crack/Hack Windows Password using Command Prompt The command prompt can be helpful solution if you need to crack or hack your own windows system in an emergency case.